If you have been asking, “Where can I get a fair price and excellent customer service now that the time has come to sell my Chrysler?”, you have come to the right place! By completing just a few quick and easy steps, you could sell you Chrysler today. We will give you a fair price, and customer service that is second to none when you decide to sell your Chrysler to us. We specialize in buying all models of Chryslers, regardless of age or condition. If your Chrysler has high mileage, or even if it isn’t running, it’s not a problem. We will buy your Chrysler! All models and years are welcome; we will even buy your Chrysler Imperial limousine. Classic, vintage Chryslers including the Airflow, Royal and Saratoga are all welcome here. When you visit We Buy Any Car, our customer service specialists will make the entire process as simple and pleasant as possible. To get the process started, simply enter your Chrysler’s details into our online quote generator, and let us take care of the rest. Chrysler is one of the automotive industry’s longest standing manufacturers, and has been producing revolutionary and innovative car designs since 1920. The recognition Chrysler now enjoys is owed in large part to their ability to produce vehicles that are fun, safe and easy to drive. 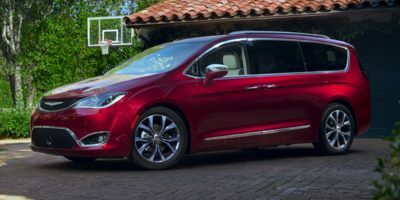 Most newer Chrysler models feature highly rated built-in collision avoidance and protection features, as well as some of the best fuel economy ratings in their various classes. Since June of 2011, 52% of Chrysler Corporation has been owned by the Italian automobile company, Fiat.